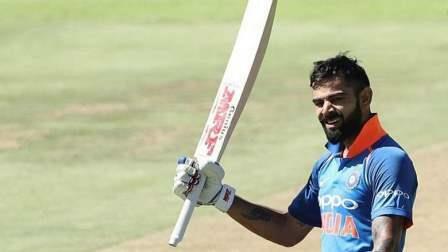 After scoring his 34th ODI century, Indian captain Virat Kohli was hailed by the former Pakistan captain Javed Miandad as a "genius who is the best batsman in the world". "In Virat Kohli's case his batting method is what allows him to score runs not just once but almost every time he comes in to bat. If a batsman's technique is bad, he can put some runs on the board once in a while, but he will not be able to do that consistently which is exactly true in Kohli's case. To me the mark of a great batsman, like Kohli is the fact that he can vary his technique by quickly understanding the strengths and weaknesses of the bowlers. Kohli is a genius who is the best batsman in the world," Miandad was quoted saying. Kohli's century against South Africa in the third ODI in Cape Town allowed India to win the match by 124 runs and take an unassailable 3-0 lead in the six-match series.